These large-scale pavilions form an immersive entry environment to the 2016 Design Miami Exhibition. 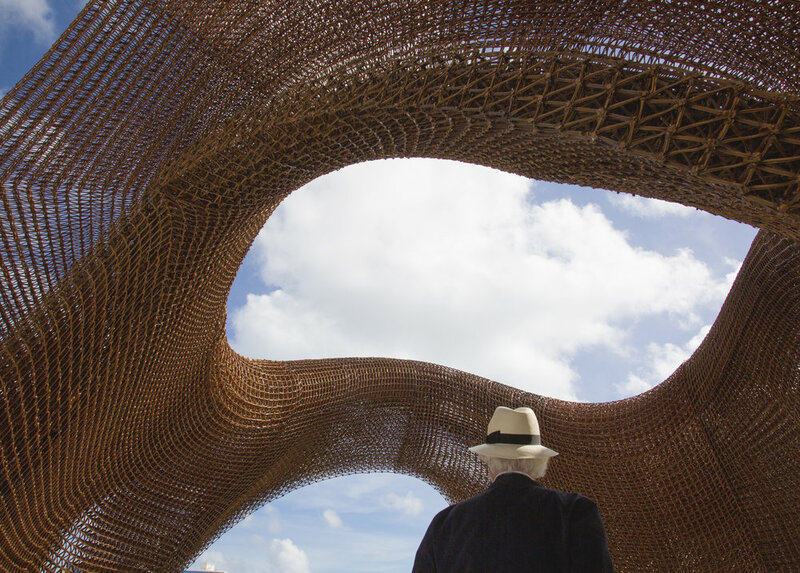 After SHoP Architects was awarded the 2016 Design Miami Visionary Award with an invitation to design the entry, the firm quickly reached out to Branch Technology to develop a design concept that leveraged large-scale 3D printing. 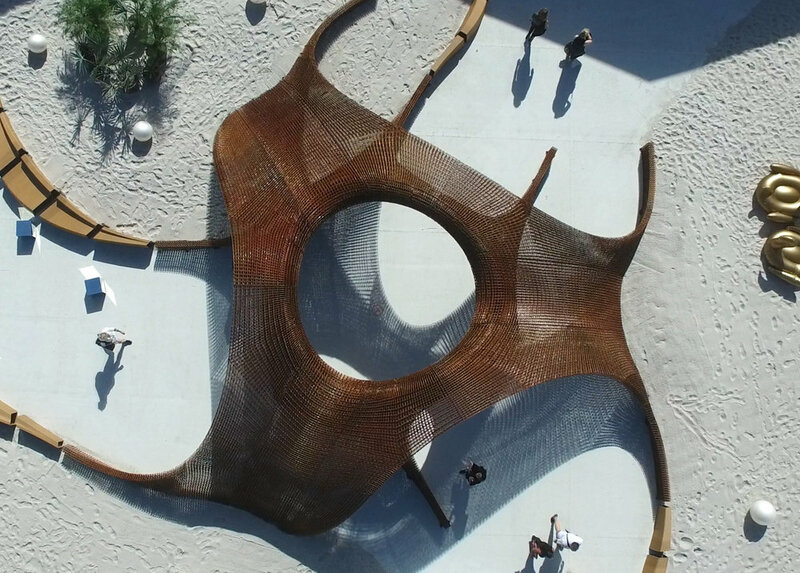 The intent was to draw inspiration from Miami's celebrated spirit of play, the dynamic beach morphology, and the city's emergent function as a center for creative visioning and technological discovery. Oak Ridge National Laboratory (ORNL) was also brought in as fabricators to provide a second printing technology that celebrated a biodegradable bamboo medium. Thornton Tomasetti CORE was also a part of the team, helping to analyze and develop the inherent strength of the pavilions given the new material technology and complex form. 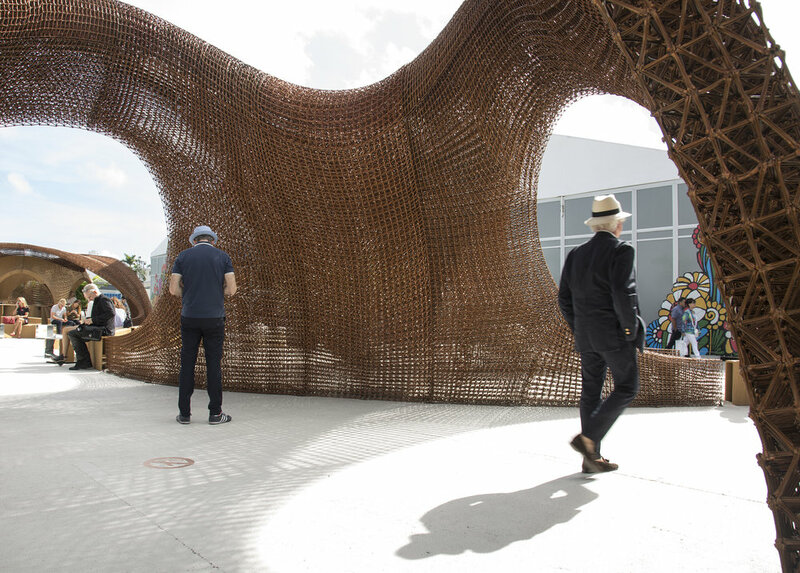 Following Design Miami, the pavilions were relocated to the Miami Design District. Reinstalled in Jungle Plaza, they serve as the centerpiece of the District's weekly farmer’s market and other programmed events that focus on arts and design.